Car electronics ads in Sydney. Thank you for visiting our free advertising website Car electronics, Sydney section. We provide high response free classifieds and free advertisement. Use our online free Car electronics classifieds placement system to find, list, offer Car electronics online! Multi Range Offer The best Floor Scrubber Machine In Australia! Cleaning of large commercial areas can be a difficult task but not if you have the right floor cleaning tool. 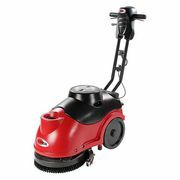 A floor scrubber dryer is the perfect floor cleaner for any hard floor space. It will not only scrub and clean your floor surface with cleaning chemicals and water but will dry it as well. Multi Range’s offer variety of floor scrubber dryer that includes ride-on, walk behind and compact upright floor scrubber to ensure the best and safe cleaning. 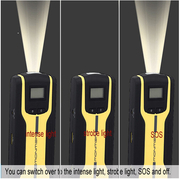 Searching for the advanced features of diagnostic scan tool in Australia? Dont waste your time..!! just visit the website carmanit.com that provides automotive scan tools at very affordable price. In the website there is so many tools but it's best products are Carmanscan AT, Carmanscan VG64, Carman VCI and Carmanscan Lite. http://www.sellyourusedcar.com.au/ Looking for an appropriate broker? Here SellYourusedCar serves you with the need. We have set new trends and standards to buy and sell the used cars. All you need is to provide us the details about the vehicles, and we bring the right dollar value for it. We help the customers in decision making and guide through the process. * 100% Brand new and high quality * Stereo / Radio Removal keys tool * Suits most double din / single din factory radio with the horizontal key slots * When using the keys, slide both in and kick the left key outwards to the left, and the right key outwards to the right and pull straight back to release. The Aslanservicecentre.com.au is a Campbelltown’s prestigious workshop offering car mechanical services and also all kinds of automotive repairs visit us at http://www.aslanservicecentre.com.au/mechanical-repairs/. National Car Brokers offers all car buyers access to fleet discount pricing through our buying power and nation-wide tendering process. The fleet departments within our certified dealer networks then bid for the business and our clients save thousands.National Car Brokers offers all car buyers access to fleet discount pricing through our buying power and nation-wide tendering process. 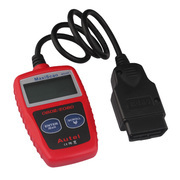 MaxiScan MS309 CAN OBDII Code Reader provides easy and quick access to Diagnostic Trouble Codes for all OBDII compliant vehicles sold worldwide since 1996. http://goo.gl/HY8JFF US$18.59 Features »Works with all 1996 & later OBD2 compliant US, European and Asian vehicles. »Easily determines the cause of the “Check Engine Light”. Features http://www.newnow.com/products/autel-maxiscan-ms309-can-obdii-code-reader-scanner-reader.html US$18.59 »Works with all 1996 & later OBD2 compliant US, European and Asian vehicles. »Easily determines the cause of the “Check Engine Light”. »Retrieves generic (P0, P2, P3, and U0) & manufacturer specific (P1, P3, and U1) codes. 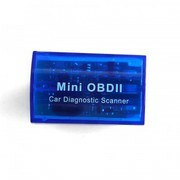 OBD-II OBD2 Mini Super OBD Adapter Car Diagnostic Scanner http://www.newnow.com/products/obd-ii-obd2-mini-super-obd-adapter-car-diagnostic-scanner.html US$9.99 Note: This item does not apply to diesel vehicles! 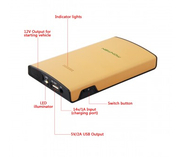 Features: Super mini ELM327 is the newly developed wireless scan tool. 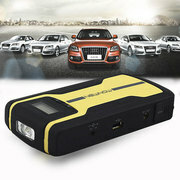 It supports all OBD-II protocols Net Weight: 16g / 0. MaxiScan MS309 CAN OBDII Code Reader provides easy and quick access to Diagnostic Trouble Codes for all OBDII compliant vehicles sold worldwide since 1996. US$ 17.21 http://www.newnow.com/products/autel-maxiscan-ms309-can-obdii-code-reader-scanner-reader.html Plug it in before going to the mechanic! Provides easy and quick access to Diagnostic Trouble Codes and their definitons on all OBDII compliant vehicles sold worldwide since 1996. NewNow Smart Box8 Car Emergency Power Bank Car Start Up Power Pack Jump Starter Auto Start Power Pack 12V 8000mAh Car Backup Power Source 12V 400A Output Start Car 5V USB Portable Charger External Battery Pack Smart Phone Charger iPhone Sumsung HTC Sony http://www.newnow.com/products/emergency-8000mah-newnow-smart-box8-portable-external-car-jump-starter-battery. NewNow G04 8000mAh Portable Car Jump Starter 400 AMP Peak IP65 Water Proof Shock Proof- Emergency Auto Jump Starter With Portable Power Charger [Apple iPhone 6 Plus, 6, 5S, 5, 4S, 4 / Samsung Galaxy S5, S4, S3, S2, Tab / Nexus 5, 7/ HTC M8 / Nokia / GoP http://www.newnow.com/products/newnow-g04-8000mah-portable-car-jump-starter-400-amp-peak-emergency-auto-jump-starter. 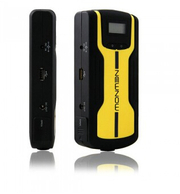 NewNow G02 12000mAh Multi-Funtion Jump Starter Emergency Power 400Amp Peak 12V Car Jump Starter Mobile Power Bank Rechargeable Battery Charger for Cellphones/iPad with LED Flashlight http://www.newnow.com/products/newnow-greenway-g02-multi-funtion-jump-starter-emergency-power.html The G02 is an ultra-portable, lightweight and compact lithium-ion jump starter for 12-volt batteries. 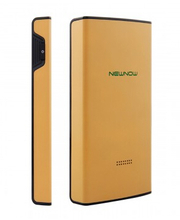 NewNow G02 12000mAh Multi-Funtion Jump Starter Emergency Power 400Amp Peak 12V Car Jump Starter Mobile Power Bank Rechargeable Battery Charger for Cellphones/iPad with LED Flashlight http://www.newnow.com/products/newnow-greenway-g02-multi-funtion-jump-starter-emergency-power.html Features: *. 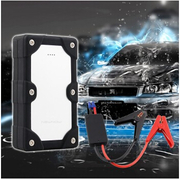 NewNow Ultra Portable Auto or Boat Multi-Function 8000mAh Jump Starter / Personal Power Supply Black http://www.newnow.com/products/newnow-8000mah-multi-funtion-car-jump-starter-emergency-power.html Instructions: When starting a car, make sure the power level is or above 20%. Connect the red clamp to “+”, and the black clamp to the “-”. 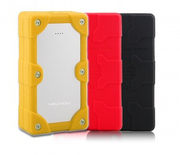 NewNow X-5 Mini 8000mAh Portable Car Jump Starter 400 AMP Peak - Emergency Auto Jump Starter With Portable Power Charger [Apple/Samsung/Nexus/HTC/Nokia] http://www.newnow.com/products/newnow-x5-8000mah-multi-function-auto-emergency-external-battery.html Notice: 1. 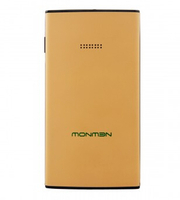 In case of dormancy for long time, it is suggested to maintain certain battery capacity and the product shall be charged at least at every three months. 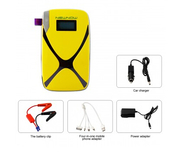 NewNow G02 12000mAh Multi-Funtion Jump Starter Emergency Power 400Amp Peak 12V Car Jump Starter Mobile Power Bank Rechargeable Battery Charger for Cellphones/iPad with LED Flashlight http://www.newnow.com/products/newnow-greenway-g02-multi-funtion-jump-starter-emergency-power.html Specification: Size: 160 * 80 * 31mm Net Weight: 441g Battery Capacity: 44. 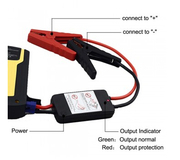 NewNow® G02 12000mAh Multi-Funtion Jump Starter Emergency Power 400Amp Peak 12V Car Jump Starter Mobile Power Bank Rechargeable Battery Charger for Cellphones/iPad with LED Flashlight http://www.newnow.com/products/newnow-greenway-g02-multi-funtion-jump-starter-emergency-power.html The UltraSafe lithium battery inside NEWNOW Genius Boost can deliver up to 20 full power jump starts per charge. NewNow® G04 8000mAh Portable Car Jump Starter 400 AMP Peak IP65 Water Proof Shock Proof- Emergency Auto Jump Starter With Portable Power Charger [Apple iPhone 6 Plus, 6, 5S, 5, 4S, 4 / Samsung Galaxy S5, S4, S3, S2, Tab / Nexus 5, 7/ HTC M8 / Nokia / GoP http://www.newnow.com/products/newnow-g04-8000mah-portable-car-jump-starter-400-amp-peak-emergency-auto-jump-starter. 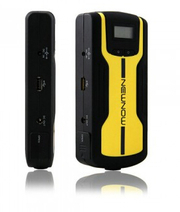 NewNow® G02 12000mAh Multi-Funtion Jump Starter Emergency Power 400Amp Peak 12V Car Jump Starter Mobile Power Bank Rechargeable Battery Charger for Cellphones/iPad with LED Flashlight http://www.newnow.com/products/newnow-greenway-g02-multi-funtion-jump-starter-emergency-power.html Specification: Size: 160 * 80 * 31mm Net Weight: 441g Battery Capacity: 44. 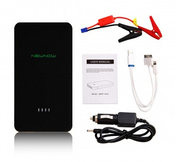 NewNow® G02 12000mAh Multi-Funtion Jump Starter Emergency Power 400Amp Peak 12V Car Jump Starter Mobile Power Bank Rechargeable Battery Charger for Cellphones/iPad with LED Flashlight http://www.newnow.com/products/newnow-greenway-g02-multi-funtion-jump-starter-emergency-power.html The G02 is an ultra-portable, lightweight and compact lithium-ion jump starter for 12-volt batteries. Australia free ads for Car electronics, Sydney, Car electronics free ads Sydney, Car electronics for sale Sydney, Car electronics to buy in Sydney. Find on this page free classifieds for Car electronics in Sydney. This listing includes classifieds for sale and to buy in Sydney. FREEADSAustralia Sydney offers you a platform to post free advertisements or classifieds for Car electronics in Sydney. FREEADSAustralia helps you search, find buy, sell, rent or hire in various categories like apartments, goods for sale, local services, cars , jobs and many more in Sydney. If you posted an advertisement in category Car electronics of FREEADSAustralia Sydney before please use Edit my ads button to change or cancel your ad. 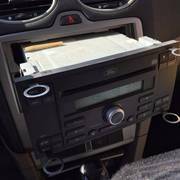 Car electronics Sydney ads Sydney, Car electronics classifieds Sydney, Car electronics free ads Sydney, ads for sale Sydney, ads to buy Sydney, FREEADSAustralia. Find here ads for sale, to buy and rent in Sydney. Goods for sale in Sydney, vehicles for sale in Sydney, Sydney real estate for sale, Sydney property for sale, property for rent in Sydney, business ads in Sydney, Sydney business classifieds, services in Sydney, Sydney services ads, jobs in Sydney, pets for sale in Sydney, Sydney dating, Sydney cars for sale.